International Women’s Day 2019: our top picks – "But I don't want to work in the City!" This year’s International Women’s Day campaign is centered around the theme #BalanceforBetter, which encourages people around the world to take action towards accelerating gender balance. Climate Change: What’s in it for health? Got a medical career on the cards, or considering this path? To mark International Women’s Day the Clinical School are pleased to welcome Professor Vicky Pope, Head of Science and Technology Futures at the UK Met Office. Vicky will talk about her career to date and her research into developing and validating climate models. She will discuss the challenges humanity faces relating to climate change and its implications for our health. Interested? Register here. If you’re considering a career in film, get inspired by this: a screening and filmmaker Q+A followed by the presentation of Watersprite’s inaugral Women of Watersprite Prize. Register here. Can’t make this, but keen to catch something else? Explore the full range of screenings taking place during Watersprite International Student Film Festival here. Does publishing or writing appeal to you for your career? Hear Kirsty Stonell Walker – fierce feminist and avid blogger of Pre-Raphaelite Sisterhood – discuss her book which allows 50 of the most well-known pre-Raphaelite female muses to reclaim their stories from the grave. The book explores previously unseen evidence such as medical records, letters, gravestones, and archives ultimately giving these women a chance to tell their own stories. Join Cambridge Judge Business School (CJBS) in celebration of International Women’s Day as they explore the theme Balance for Better. Professor Sucheta Nadkarni, Director of the Wo+Men’s Leadership Centre (WLC) at CJBS, will share results from her latest research on why and when gender diversity matters most in firm performance and will chair a guest panel on Building Balance. Register here. Passionate about working in the charity sector or in International Development? From sexual and gender-based violence, to lack of sanitary products and pre-natal care, displaced women face unique and harsh challenges that aren’t often talked about. This panel brings together representatives from organisations that work on the ground with refugees and aid in asylum applications to talk about their experiences, including former refugees. Interested in a career in the art world, or indeed want to develop your own artistic practice? Women in Art: Hong Kong may get you inspired! It brings together the works of seven contemporary female artists covering the past 50 years of artistic development in Hong Kong. The works, which are in a variety of media from ink drawing to installation, all explore contemporary politics and the role of female artists within it. Opening on International Women’s Day, the exhibition is shown alongside research by New Hall Art Collection and the Asia Art Archive which focuses on the status and representation of women artists working in Hong Kong over the last five decades. 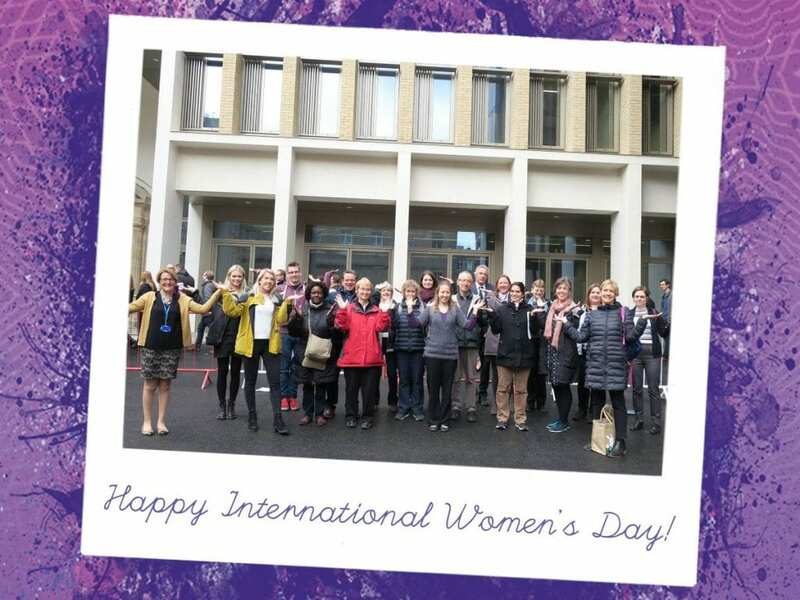 The team at the Careers Service wish you a motivating and happy IWD 2019. Learn more about what we do, and how we can help you, here: www.careers.cam.ac.uk.